This statement is really pretty cut and dry. It states as fact what is inherently obvious. Let’s apply some western thinking to this and carve up the parts. Maybe we can see how they fit back together. The true magnetic principle – When something is alive, the universal life force is attached. There is a connection that makes life ‘sticky’. If life force where to come and go as it pleases, growth would probably be defined differently. Universal life force – There is an energy that animates material (bodies) in a purposeful way. This energy is universal (singular) and, when present, it is what we notice (or observe) the signs of life in something. Hidden astral spirit – Like ultra violet light, it exists but generally goes unnoticed. Like the air, we don’t see it, but we can still experience it. Life and Death – It’s one or the other, not both. You can die, but as you do it’s all just another state of living. There are many different ways to die, but death is the point of transition. Body – The part that remains after death. It’s the collection of substances gathered during the living process. From my point of view, I interpret the author’s words to mean that The Philosopher’s Stone is partly made of a substance that is alive. I would probably go as far as to say that the substance is consciousness and it is animated in some way. On that early morning in the Caribbean, I realized that even the “winners” in our Darwinian world are losers because we are one with a bigger Universe/God. The cell engages in behavior when its brain, the membrane, responds to environmental signals. In fact, every functional protein in our body is made as a complementary “image” of an environmental signal. If a protein did not have a complimentary signal to couple with, it would not function. This means, as I concluded in that “aha!” moment, that every protein in our bodies is a physical/electromagnetic complement to something in the environment. Because we are machines made out of protein, by definition we are made in the image of the environment, that environment being the Universe, or to many, God. If you can recall, I’ve brought up the good Dr. Lipton in previous articles. Just search or “Lipton” in the search control (upper right) and you’ll find a number of references. The key idea from his work is that cells respond to stimuli. They are alive as long as you can provide the stimuli and the associated function is carried out. What I would add to this is that the Universal Life Force is a stimulus. It is most likely the key stimulus that drives the cell to function. Let’s take this smaller. Another example that I like to use is the retina in the eye. It is sensitive enough to measure a single photon of light. When you see it from Dr. Lipton’s point of view, the stimuli is the photon of light. The function is the molecule twisting to signal the nerve so that the brain gets the signal that there is the, say, color red present. One thing that bugs me about Dr. Lipton’s work is that he seems to believe that within the cell, there are random collisions where molecules or atoms come together in order to build the proteins that he talks about. Basically, it’s the idea that there is enough stuff in the primordial soup that exists within the cell that the balance between stimuli and function is maintained. It’s kind of a leap of faith. You can think of it as: “things just find each other”. That just doesn’t cut it for me. If you can imagine the distances on an atomic level within a cell, they are enormous! If we had to wait for a collision to occur, we would have to deal with probability theory on a grand scale. Likewise, the inefficiency of all the stimuli floating around within the cell would take the cells from one extreme to another. There would always be a state of ‘panic’ within the cell. Yet, the observation is that there really is no panic on the inside of the cell (unless something goes wrong). This leads me to believe that there is conscious behavior that brings the stimuli and function together. There is something that guides two molecules to come together. There is something purposeful at work that greatly increases the efficiency of the system. This is where we come back to the Universal Life Force energy. In order for it to work, there must be some form of consciousness behind that energy. It must know what is going on and what is needed. Just like our bodies breath, digest and circulate fluids for us, this same force must also perform similar operations on a pure cellular level or the atomic level. In the relative vastness of space, there is very little that we are conscious of. In fact, if our very lives depended on being conscious of life, we would surely never would have come into existence. 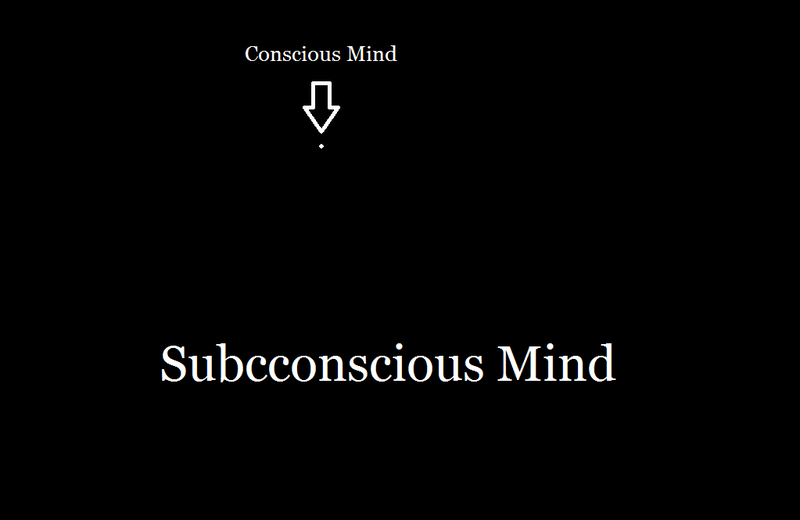 Life is a function of the subconscious mind. There is intention in the activities that demonstrate Aliveness. There is wisdom in the actions. What is also interesting is that the aspects of mind are the same between everything that is animated by this mind. The consciousness that moves the elements within a cell in our body would be logically the same consciousness that moves the elements within anything else that’s living that has a similar function. In other words, the consciousness that exists within the tree to keep it alive would also be the consciousness that lives and functions within us. That same consciousness must have a very good understanding of its environment so that it knows when to be present and when to vacate. Coming back to death. When we die, it’s an instantaneous activity. It’s as if this Life Force Energy (subconscious mind, living mind) knows exactly when to leave and every cell of the body transitions at the exact same moment. It is an activity of the mind. It’s like turning off an electromagnetic magnet. A follow up question to Aliveness might be, where is life found? By current standards, western science pretty much says that if it’s biological, it’s a living system. Well, they’ve completely discounted the concept of consciousness. Without consciousness, there is nothing to direct the function of the matter. Without consciousness, all the matter would be primordial soup! When you consider consciousness as being the key attribute to life, you then have to wonder about the mineral kingdom. There are clear rules that minerals follow, minerals can get ordered – crystallized. Might there be some subtle consciousness involved here? Even though the minerals do not follow the biological standard of ‘activity and reproduction’, are the minerals not active when the crystals are growing? It feels like it would be correct to say that minerals can ‘grow’ into crystals and that this process might be fostered by consciousness. To sum this up, I believe that the Concept of Aliveness is backed by consciousness and because consciousness can be just about anywhere, it would lead me to believe that there is more life present around us than what is currently believed. Now, one has to wonder if it is possible to setup an interesting enough environment that consciousness would want to get involved. Is that possible? Is that what The Great Work is all about? I think I’ll over saturate some water with salt and watch the crystals grow as the water evaporates.